The New You For The New Year Is Unstoppable! Is Your New Year's Resolution To Have Longer Hair? 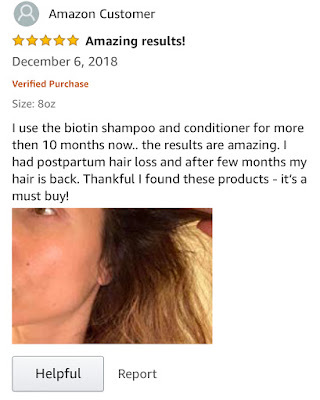 Our Biotin For Hair Growth system is Amazon's choice in hair re-growth. Sulfate free with Aloe Vera soothes the hair shaft, protecting your hair color while supercharging your tresses with high potency Biotin. Read this recent five-star review on the Biotin, blow dry serum & treatment and how it helped after pregnancy.